Show your appreciation and love for friends, significant others, or any other loved one by celebrating Valentine’s Day with these two activities at Hollywood High. Come and support LGBT Club on their annual Marriage Booth set-up on Feb. 14. You can purchase a $5 package. This package includes a polaroid picture taken at the booth, a certificate of “marriage” for each person, and two free ring pops. If you just want the polaroid picture taken, it will only cost $2. Following that, leadership will be selling Valentine grams in the quad during lunch for only $5. These grams include a mug, a small teddy bear, chocolate, and a note. They will continue to sell them through Feb. 11. On Feb. 14, these grams will be sent during first and fourth period to the recipient. 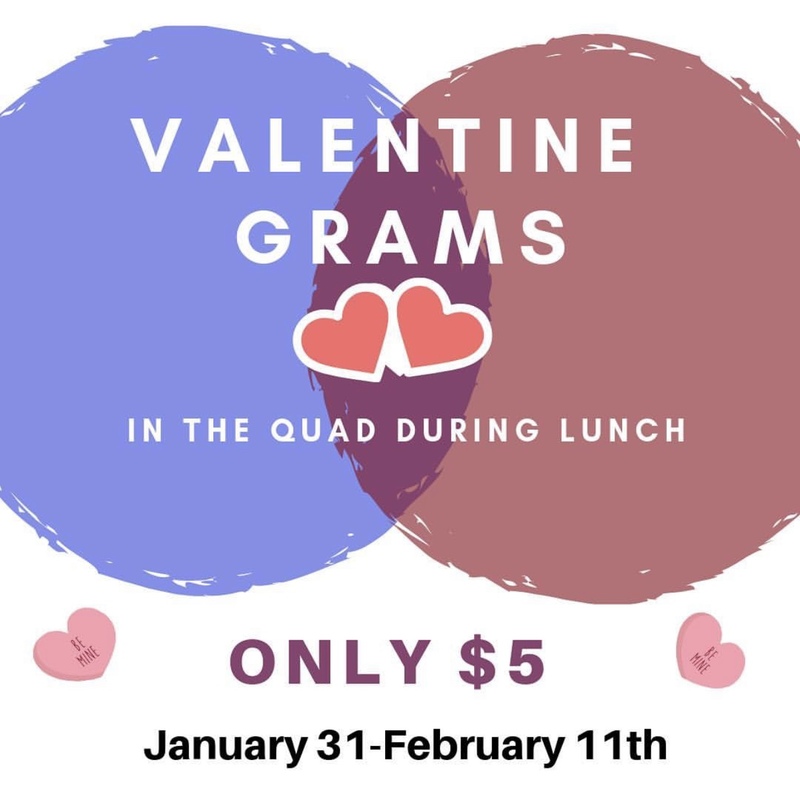 Make sure to buy these grams before time runs out and stop by the marriage booth to create some unforgettable memories.